This course turns you into a modern business analyst: more flexible, more nimble, more effective, and more focused on solving the right problem and delivering real value. What will you learn here ? Whether you work in an agile team, or write traditional specifications, the essential business analysis task is to uncover the real needs of the real customers. Without understanding the real need, it is extremely difficult to deliver real value. Actually, assuming you know the solution is where many agile projects go astray, and is also where good business analysis shows its true value. Your organization is constantly having to adapt to the relentless changes to its environment – changes to the law, changes in the marketplace, changes in technology, and changes to the available opportunities. Any change results in a development effort to deliver a new or enhanced software system, business process, consumer product or service. Furthermore, the rate of change is so rapid that we simply don’t have time to get the wrong result and deliver the wrong solution. This course is about using analytical skills to understand the real, underlying problem to solve. It is about integrating business analysis skills into your team regardless of whether it is an agile team, or a more traditional one producing a complete requirements specification. It is about ensuring that you always deliver the right solution, and that you deliver quickly. This workshop is based on a brand new book with the same name. We had hoped to get it at our workshop, but Addison Wesley can't deliver on time. 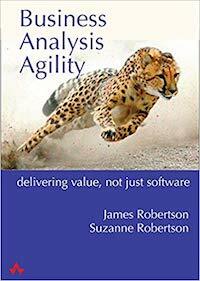 We promise to send participants of our "Business Analysis Agility" workshop a free copy when it finally becomes available. We also believe that Business Stakeholders, Users, Software Customers and Testers will benefit from learning advanced business analysis techniques, and how they can contribute to the organisation's wellbeing. Despite our technological advances, the biggest problem is still the human one: how to correctly understand the customer’s real problem, and how to ensure that your solution is correctly solving that problem. This course gives you a different approach to business analysis. This one provides a business analysis framework that works regardless of whether you are part of an agile environment and need to provide stories for iterative development, or whether you are in a traditional environment and need to produce a requirements specification suitable for more formalized environments and outsourcing. Our businesses thrive or flounder on the effectiveness of their business processes, both automated and manual. Businesses with good processes provide a better service and are more responsive to their customers. The converse is also true. 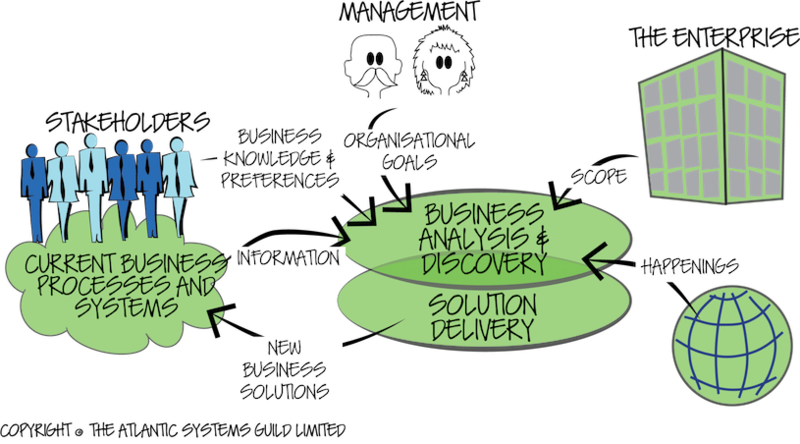 Business analysis is the craft of enlightened improvement to business systems and processes. Moreover, business analysis gives you ways of identifying the areas where development efforts will yield the highest value. This two-day course in business analysis gives you the skills and tools to discover your client's real business, and to determine and demonstrate the best ways of improving it. This course gives you a vision of the modern business analyst, one who understands the business analyst's role is much more than writing requirements. This course is a natural companion to Mastering the Requirements Process, where we teach the art of requirements writing. The models and understanding from Business Analysis Agility are the foundation for your requirements process. Do You Know What Your Customers Value ? Are You Solving the Right Problem ?